Dr. Joy Dental Clinic, has introduced the award winning VELscope machine which is recognized by the World Heath Organization. VELscope can detect early signs of oral cancer and is more accurate when compared to the traditional examination methods when screening for tissue abnormalities. Many dentists cannot detect oral cancer with the naked eye, but with the aid of the VELscope we can see under the tissue which helps us detect potentially dangerous growths and lesions. Studies show that 60% of cases are diagnosed in the late stage. The death rate for oral cancer is particularly high because it is hard to discover and diagnose. Very often it does not cause pain or show symptoms, signifying the importance to undergo regular check ups. Usually, your dentist would look for signs of oral cancer by conducting an examination for lumps in the mouth and neck, and checking for sores or any discolored tissue. 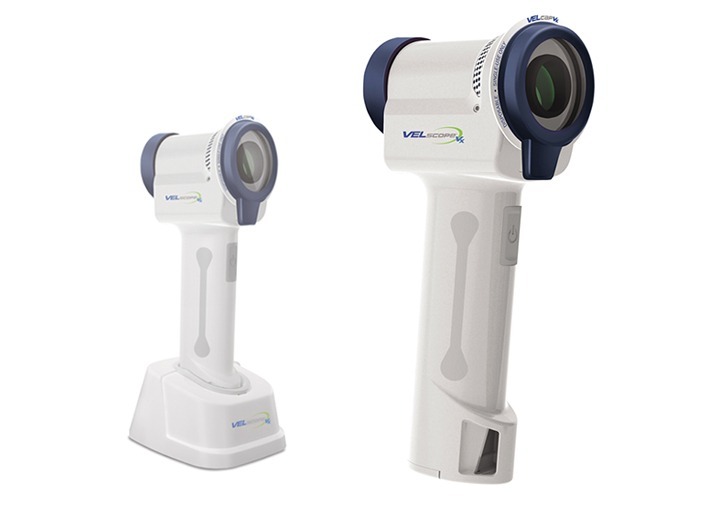 Now with the VELscope oral cancer diagnosis is more accurate than ever. VELscope works by enhancing the visualization of pre-cancers, cancer and other disease processes and does not require any dyes or prolonged testing procedures. The machine can help you see things which may be hard to visualize otherwise, by offering an imaging modality which is sensitive to tissue changes. As many of us know cancer is the uncontrollable growth of cells that damage tissue in the body, and the earlier this is detected the faster it can be treated. Oral cancer is becoming increasingly common so it is important we go for regular check ups and are aware of the signs. Oral cancer can appear in the form of a growth or a sore in the mouth which will not heal. It occurs in the lips, tongue, cheeks, floor of the mouth, hard and soft palate, sinuses, and pharynx (throat) and can be life threatening if not diagnosed and treated early. According to the American Cancer Society men are twice as likely to get oral cancer when compared to women. Oral cancer can develop from a number of factors such as cigarettes, smokeless tobacco, excessive consumption of alcohol, too much exposure to the sun and a family history of cancer. It is best to avoid all of the mentioned to decrease your risk of oral cancer. If you would like an oral cancer examination with the VELscope please call our Jumeirah branch on 04-328 5332.